One of Oregon’s most important artists, Manuel Izquierdo is best known for his lyrical sculptures. 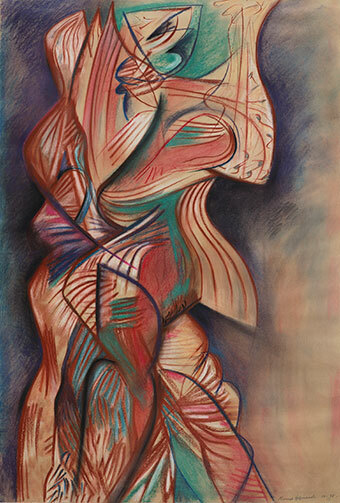 Lesser known are his large, expressive pastel drawings. This exhibition celebrates the life and legacy of Izquierdo through a vibrant selection of drawings and prints, a number of which have never been exhibited. This collection was recently given to the Museum by the artist’s estate. Together, they provide visitors with a comprehensive survey of the artist’s oeuvre and an exploration of the sculptor as draftsman and printmaker. Izquierdo’s prints mature into increasingly complex images built from a variety of lyrical incisions that remind the viewer of the sculptor’s love of carving. Similarly, many of the pastels employ linear mark-making to create textural passages delineating transitions between forms and introducing patterns. The pastels celebrate color in a way that lends new dimension to the artist’s generally monochromatic printmaking and sculpture. 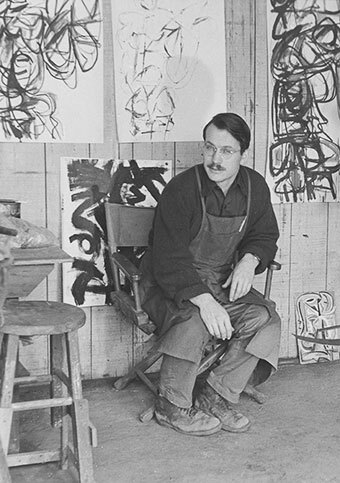 Born in Madrid, Izquierdo attended the Museum Art School and made Portland his home, becoming an important figure in Portland’s mid-century art scene. He passed away in 2009. The exhibition is made possible through the partial support of the Vivian and Gordon Gilkey Endowment for the Graphic Arts and the Exhibition Series Sponsors.